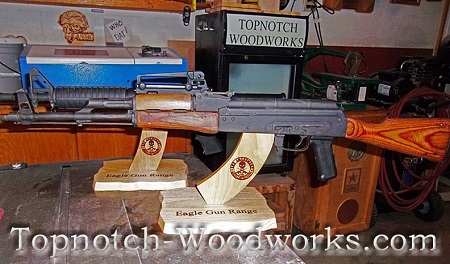 This AK47 Rifle Display Stand is handmade right here in the USA from solid oak to showcase your rifle. 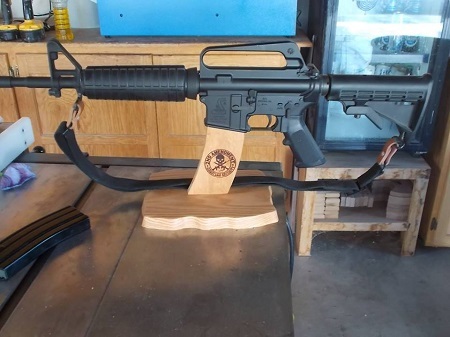 This AR15 Rifle Display Stand is handmade from solid oak to showcase your rifle in a distinctive way. 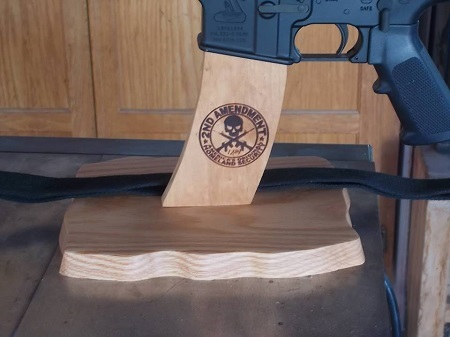 Can be engraved on either or both the magazine or base.